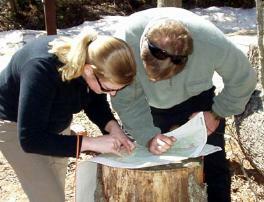 This course emphasizes the skills you need to navigate with a map and compass. Students will first learn to use the compass by itself, then learn to identify terrain features on the map. Finally students will learn how to put the two skills together and navigate a orienteering course in the wilderness. Participants must provide their own clothing appropriate for the weather, food, and water. We will provide compasses, maps, other tools, and transportation to and from any on-site locations. *Includes all necessary tools and equipment as well as transportation.